The camp is located near the Al-Tanf base, where US troops are currently stationed and from where they are expected to leave in a matter of months. Russia has accused the US on multiple occasions of harbouring militants and terrorists in the areas adjacent to the Al-Tanf base. A military-diplomatic source has told Sputnik that heavy smoke has recently been seen near the Rukban refugee camp situated near the Al-Tanf US military base. According to the source, it could be a sign that militants, "harboured by the US military" have intensified their activities following the announcement of the impending US pull-out. The source believes that these militants could be burning bodies of the diseased camp inhabitants, who died of illnesses and famine because they failed to receive humanitarian aid shipments. He also suggested that international humanitarian and human right organisations will be spending years, sorting out the "legacy" of the US stay in Syria. 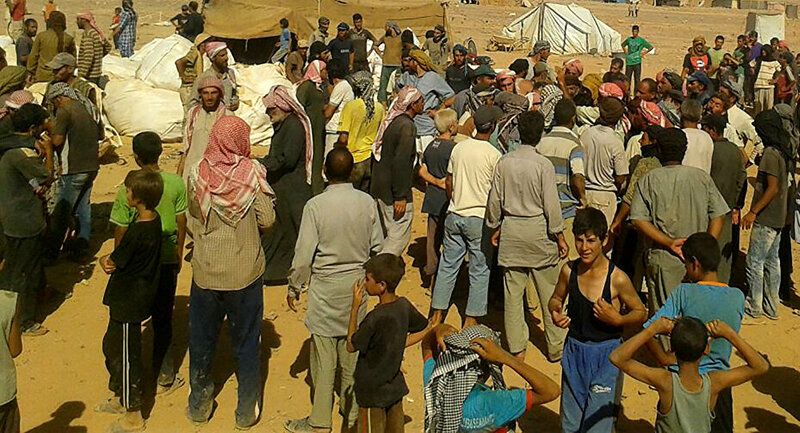 The Rukban refugee camp is located near the Syrian-Jordan border in the zone of responsibility of the US Al-Tanf base. Russia has accused the US base of providing safe haven for terrorists, who later conducted attacks on the positions of the Syrian army.